The Minnesota Boychoir provides choral music training, education, performance opportunities, and other experiences to instill excellent musicianship and sound values in young people. We develop responsible, caring, creative young people capable of becoming productive citizens with a passion for music and community service. The Minnesota Boychoir welcomes boys and young men of all races, religions, ethnicity, national origin, physical abilities or sexual orientation. The Minnesota Boychoir provides equal opportunity to admission, access and the benefits of employment without discrimination on the basis of categories protected by law. The Minnesota Boychoir does not discriminate on the basis of disability in terms of admission or access to its services, programs or activities for its members, audiences, and with respect to those whom it employs. The Minnesota Boychoir is committed to providing reasonable accommodations to people with disabilities when such needs are made known. For example, the Minnesota Boychoir strives to provide full and direct access to rehearsal and performance venues, and makes its best effort to perform only in locations that comply with all applicable accessibility laws. Upon request, the Minnesota Boychoir will explore opportunities to provide its materials in a way that ensures effective communication. This may include the use of alternative formats, as appropriate (whether it be by providing large print, audio tape, computer disk, DVD, or accessible online versions of printed materials). This may also include the arrangement of special seating accommodations for those who use mobility aids, to ensure maximum enjoyment of Minnesota Boychoir performances. The Minnesota Boychoir remains open and amenable to engaging in dialogue, to explore any appropriate and reasonable accommodation requests. 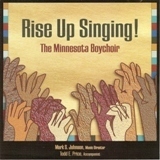 -Adopted by the Minnesota Boychoir Board of Directors on April 13, 2011.